Wondering what jazz dance is all about? There are many different styles of jazz dance but all of them emphasise on connecting movement with music. The focus of our jazz dance classes at Creative Dance Academy is to build strength, flexibility, technique and style. Our teachers are trained in a variety of jazz styles such as Lyrical Jazz, Contemporary Jazz, Funk and more. Our Lyrical/Contemporary Jazz dance class generally start with a ballet-based warm-up session followed by dynamic and intense training through combinations of slow and graceful movements to fast-paced and high-energy moves. Generally having a basis in classical ballet the students of Creative Dance Academy will develop an extremely high standard of lyrical and contemporary technique. Our modern expressive syllabus enhances each students own musicality and their natural emotions for lyrical and contemporary music. We also offer Dance&Fun classes for children and teenagers aged between 6 years and 16 years. In these combination classes students get familiar with genres like jazz, tap and lyrical dance they also get an introduction into funk and hip hop forms of dance. All jazz dance and combination classes taught at Creative Dance Academy are choreographed around age appropriate music. They are designed to increase body awareness and fitness levels for our students in a fun environment. We offer jazz dance classes to students of any age who are interested in learning different styles of jazz or who just enjoy moving to lyrical or contemporary music in a choreographed style. At Creative Dance Academy we teach jaz z dance in small groups of students with similar levels of experience but we also offer private coaching depending on the student’s preference. 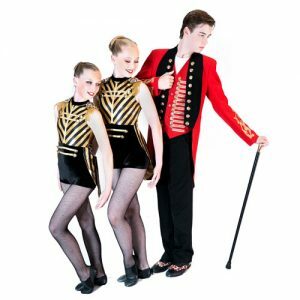 Our highly experienced dance teachers are patient, kind and will give each student very individual attention to help them maximise their potential. Students will work on a choreography that is easy to follow, will be carefully explained and clearly demonstrated by our teachers. Students get a great sense of achievement once they master and perform a well-studied choreography. Whether you have previous experience or whether you are a beginner, we are happy to help you find a jazz dance class near you that suits your skills level. We teach a variety of styles at six convenient locations in Sydney’s West. Creative Dance Academy is located at Bligh Park, Cranebrook, Wilberforce, Jordan Springs, Stanhope Gardens, North Richmond and Vineyard. Most of our students live in or around Penrith, Blacktown, the Hawkesbury or Hills area. If you or your child is interested to get into dancing, give us a call or send us an email and we help you find the nearest and most suitable classes for you or your child. You can see our individual class prices or package deals here.